Have you noticed any of the following symptoms? If you suffer from one or more of these symptoms, you may be affected by periodontal disease. Also called gum disease, periodontal disease is a degenerative condition that, when not properly treated, can lead to bone or tooth loss or other serious health conditions. Gum disease is caused by bacteria in plaque that irritate and inflame gum tissues, leaving them vulnerable to infection. In addition to leading to bone loss and tooth loss, gum disease has also been linked to several serious health conditions, including heart disease, high blood pressure (hypertension), diabetes, respiratory conditions, strokes, and pregnancy complications. To improve your oral health and help to avoid these complications, we provide treatment for gum disease. We may recommend additional professional cleanings, improved at-home oral care, antibiotic treatment, or one of the periodontal procedures listed below. The best way to keep safe from gum disease is to prevent it through good dental health habits such as regular brushing, flossing and professional cleanings. Scaling and root planing, also called deep cleaning, is a procedure similar to the scaling performed by a hygienist during a routine cleaning. Unlike in a regular cleaning, we work to remove plaque and tartar above your gum line by removing it with special tools. We strive to provide you with dental treatments to keep your teeth healthy and strong for life, but some circumstances may require the removal, or extraction, of a tooth. We offer both complicated and uncomplicated tooth extractions to accommodate your personal dental needs. We may recommend tooth extraction to relieve severe crowding that cannot be corrected with orthodontics treatment; if a tooth is so badly decayed or damaged that we cannot save it with a restoration like a white filling or a crown, if a severe infection has destroyed a large portion of the tooth and supporting bone, if baby tooth (primary tooth) is not falling out as usual, or if the third molars (wisdom teeth) are impacted, or stuck in the bone and gum tissues, and cannot properly come in. When a tooth is extracted, the remaining socket can be susceptible to infection. Also, because the root of the extracted tooth formed part of your jaw structure, the extraction of the tooth can cause the teeth on either side of the socket to “lean in” toward the gap left by the missing tooth. We provide preservation treatments that protect and support the socket left by the extracted tooth and the surrounding tissue to ensure the integrity of your jaw remains normal. After a tooth is extracted, the bone tissue surrounding the socket is affected. Normally the socket left by the missing tooth fills with tissue by itself, but sometimes during the extraction of the tooth the bone surrounding the socket becomes damaged, causing deterioration of the “ridge” or the bone that surrounds the sockets of your teeth. To rebuild the ridge and restore the strength of the bone tissue to maintain the normal appearance of your smile or to provide a foundation to place a dental implant, we can augment the ridge by filling the socket with bone graft material. This material will grow into and fill the socket with new bone tissue to help restore the area of the ridge affected by the loss of the tooth and bone tissue. When we want to place a dental implant in your upper jaw, it is sometimes necessary to augment the existing bone tissue in the area to provide adequate support for the implant. We do this in a sinus augmentation procedure where bone graft material is inserted into your existing bone tissue to create new bone tissue. The growth of the new bone tissue takes several months, after which there will be enough bone to allow the implant to be placed. In situations where your existing bone tissue has been damaged or lost due to periodontal disease, we can rebuild the lost bone tissue by placing bone grafts. Grafts are performed in a surgical procedure where a small opening is made in your existing bone in the area to be rebuilt, and then filled with bone graft material. The graft initiates the growth of new bone in the area. This process, which takes several months, will result in the growth of new bone tissue that rebuilds the damaged area. 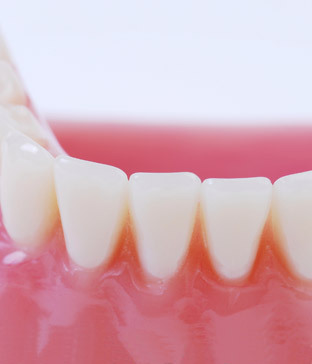 If your gums are damaged due to trauma or disease, or if you suffer from receding gum lines, we can graft new gum tissue onto your existing gum tissue to build up the affected area and restore the appearance of your gums. Your gums normally fit snugly around the root and base of your teeth. When you have periodontal disease, tissue in this area can be damaged or destroyed, leading to “pockets” or gaps in your gums around the root. These pockets gradually become bigger over time, and can provide a space for bacteria to grow. The growth of this bacteria causes even more tissue damage, eventually resulting in bone and tissue loss and possibly causing the loss of your tooth. If the pockets become too deep to be cleaned with regular brushing and oral care, they will need to be reduced through a depth reduction procedure. In this procedure we clean the pockets of bacteria and debris, and then secure your gum tissue back into place, making the pockets smaller and less susceptible to infection. If tissue under your gums becomes infected, it becomes necessary to surgically access the tissue to remove the infection. We do this by cutting a small “flap” in your gum tissue to access the underlying tissue. We clean the infection from the area, and then re-attach the flap with sutures. Parts of your mouth are connected to one another by a small piece of tissue called a frenum. There are two frena in your mouth; one connecting your upper lip to your upper gum, and one connecting your tongue to the bottom of your mouth. Sometimes a frenum can develop in such a way that it becomes restrictive and it can affect speech, eating or normal function. In such case the frenum is surgically removed in a procedure called a frenectomy, restoring normal function and easing discomfort. 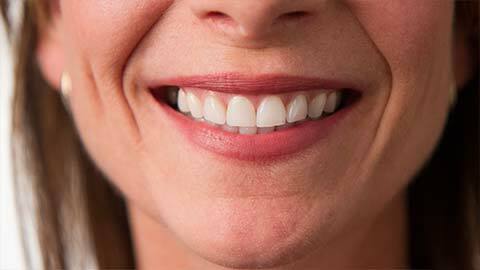 If your gums are very low on your teeth, it can leave you with what is known as a “gummy” smile. We can remove gum tissue from the base of your teeth, making your crowns appear longer. We encourage you to contact us today at TranscenDental Group to learn more about periodontal treatment and how we can improve your dental health.